Building a table can be a very satisfying project. 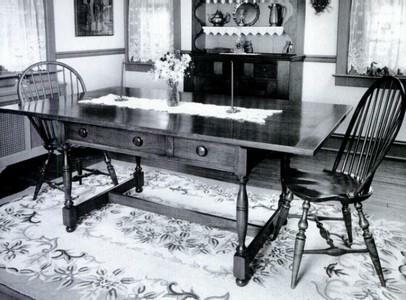 Choose from one of the free dining table plans below. Project calls for laying a few boards across two stands, much the way we'd place plywood across sawhorses at a picnic. 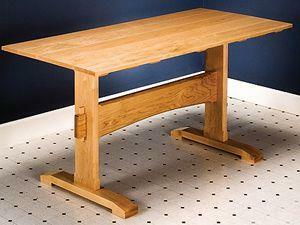 This simple design of an extendable mission style dining table is easy to make. 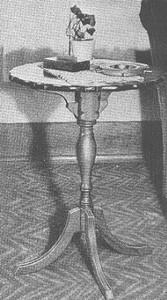 Make a table with a galvanized metal top. Blending contemporary style and sturdy practicality, this indoor-outdoor dining table is a particularly simple woodworking project. It may be easier and more affordable than you think. 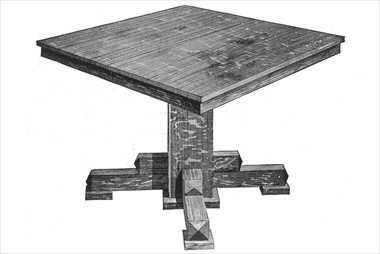 Plans to build this small kitchen trestle table and nesting benches. 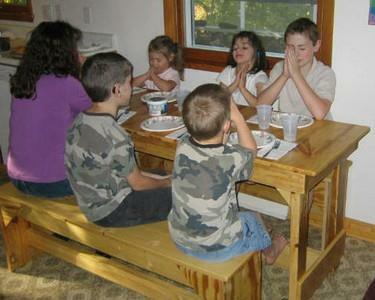 This simple, but sturdy trestle kitchen table can comfortably seat six kids and will provide years of service. 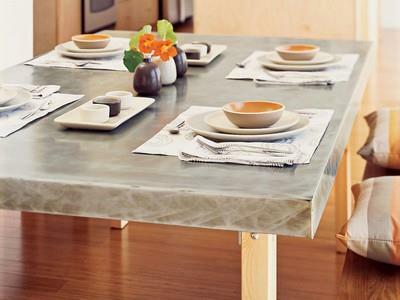 This table may look complex, but it requires mostly simple joinery. This table is made of white ash - a material that is not only durable but extremely affordable. 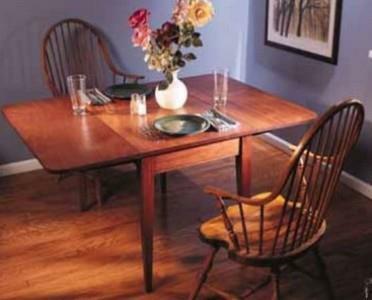 Free woodworking plans for a round extension dining table - mission style. 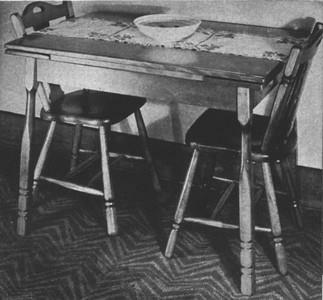 Shaker dining table with drop leaves that will sit 8 comfortably. 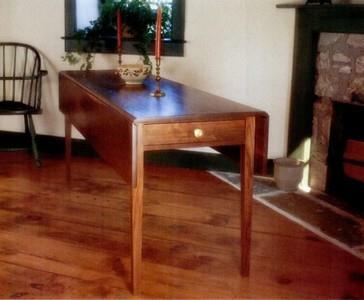 This is a tavern style hardwood dining table with drawers.